It’s World Whisky Day today and it’s made me wonder if we really need a special day to pour ourselves a dram of our favourite malt? Well, I guess we could always use another excuse. To mark the occasion I’ve scouted some cool whisky-related products that might make the day a little more memorable. Delhi-based Apeksha Jain started The Gourmet Jar three years ago and has put out some stellar jams and marmalade since then. You’ll find her confiture on breakfast trays at The Oberoi, Trident, Ritz-Carlton and The Leela Palace. Check out the Bitter Orange Whisky Marmalade here. Some melba toast and a bottle of this, and you can make a meal of it! Also try the Banana Rum Jam. Banana and rum, what’s not to love? I bought this as a gift for my dad last Christmas. These little whisky stones are quite useful. Keep them in your freezer and drop them into your glass to chill your dram without over-diluting it like ice does. There’s a whole range available here. Bitters are a highly concentrated, flavoured spirit made by infusing or macerating a variety of fruits, herbs and spices into a high-proof alcohol. Generally bitters have 35-40% alcohol and are used as an aromatic flavouring agent in cocktails. 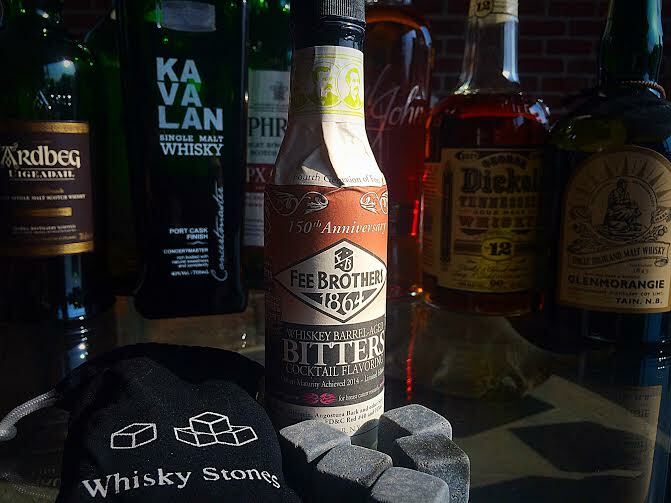 This Fee Brothers Whiskey-Aged Bitters is a great addition to the bar. It gives a lovely length and complexity to any cocktail. I even add a couple of dashes to my Gin + Tonic sometimes. More here. Available at Kegworks, make sure you keep these Bourbon flavoured pops away from the kids. Find them here. If you want to try making some yourself, here’s a recipe I found for Whisky Sour Lollipops. Now men, before you scoff at this one, consider there’s a host of women out there who like the smell of whisky on a man. You’re probably thinking, there’s an easier (and more enjoyable) way to accomplish that. True. But also consider that we like the smell, not the slurring that comes with it. 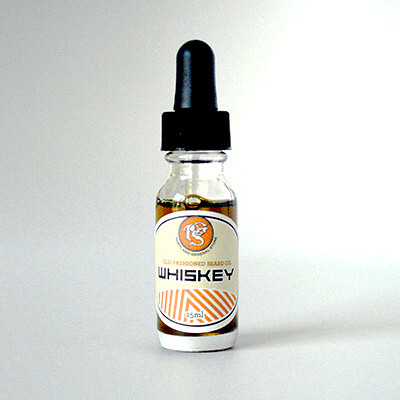 So here, a whisky-scented oil to soften and tame those unruly whiskers. If nothing else save it for Movember. Available here.